Unlock the power to create unique websites without a single line of code, right from within Google Sites. 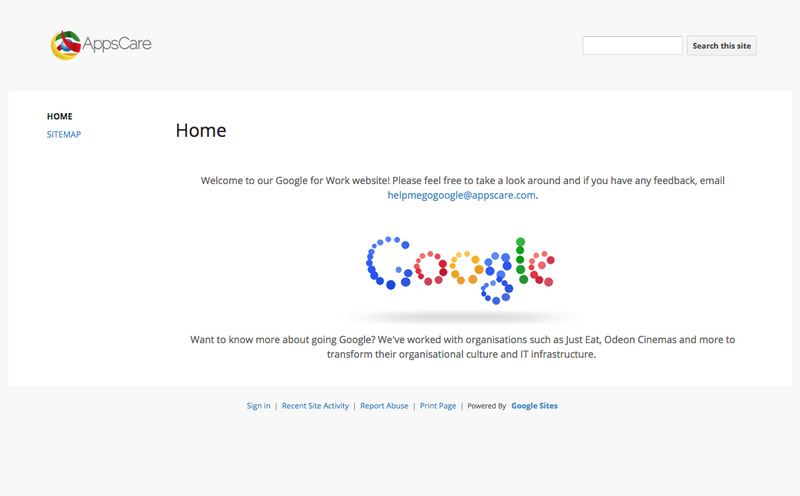 As part of the Google Apps for Work suite, you can create intranet sites, small business sites and more using the site builder. Create websites without any experience of coding, no matter what department you are in. You no longer need to rely on other people to help you create a page to share with your teams or clients, as the easy functionality of Google Sites make it a breeze for just about anyone to get started. 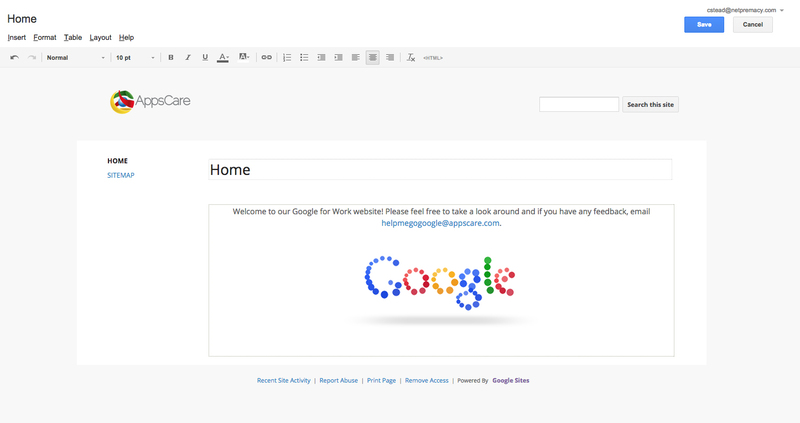 Creating Google Sites is as simple as creating a document, with all the usual text editing and inserting features that you’re used to. Add images, change alignment, and add additional pages, before setting your sharing permissions and publishing to the web. Get in touch with our team for more information about using Google Sites, how to get started, and anything else you need to know. Call us on +44 (0) 113 366 2008 or fill in the form to the right. This form was created inside of Netpremacy Ltd.